With two boys ages five and three running around the house, I’m always looking for fun, science-based activities to do when the weather is lousy. 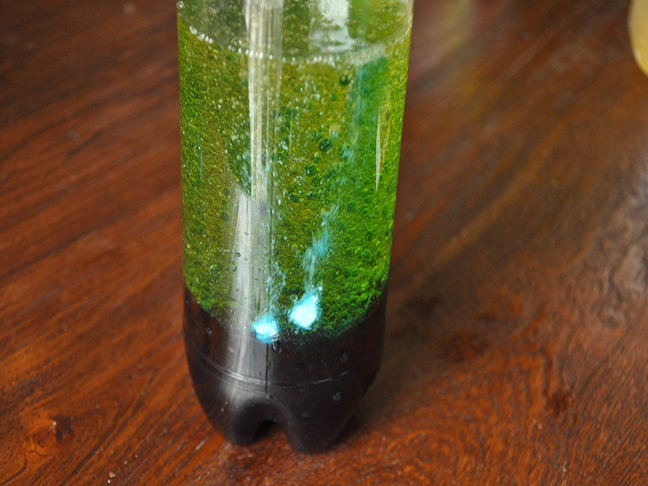 This homemade lava lamp was something we all enjoyed putting together and was super easy to do. You can make it using things you probably already have around the house. 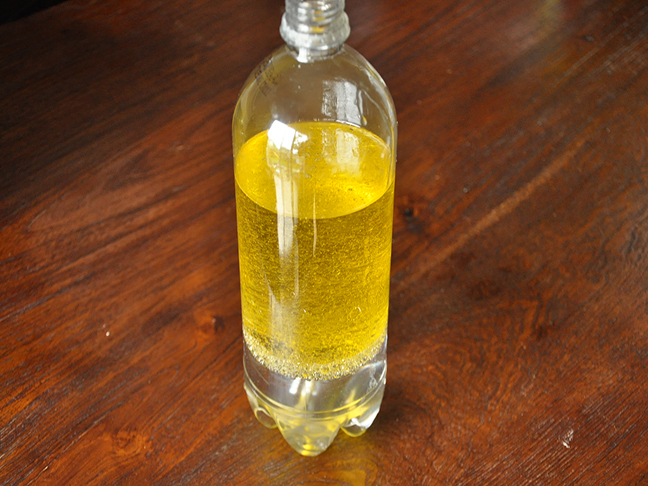 This project was a good gateway into explaining the different density properties of oil and water. I explained to my boys that water is more dense than oil, which is why every time we shook the bottle, the oil always floated to the top while the water and food coloring sunk to the bottom. 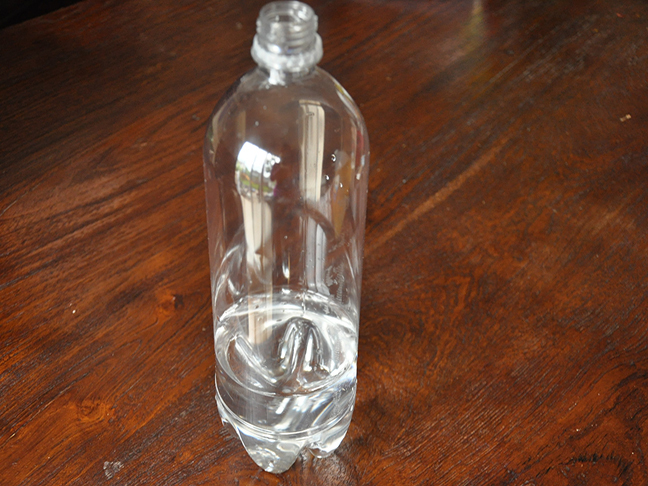 Step 1: Fill the bottle three-quarters full with water. 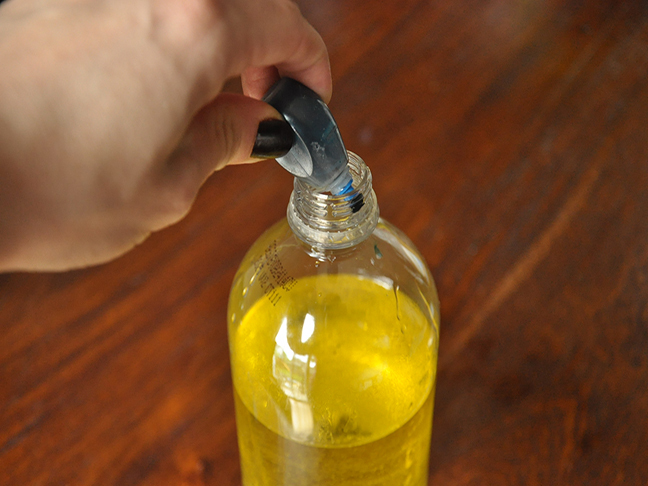 Step 2: Fill the jar almost to the top with vegetable oil and let the mixture separate. Step 3: Add about 10 to 15 drops of food coloring (depending on the size of your bottle) or until you like the color you see. A few drops go a long way! TIP: Add in some glitter for a sparkly version.